We are excited to share a new feature with you. 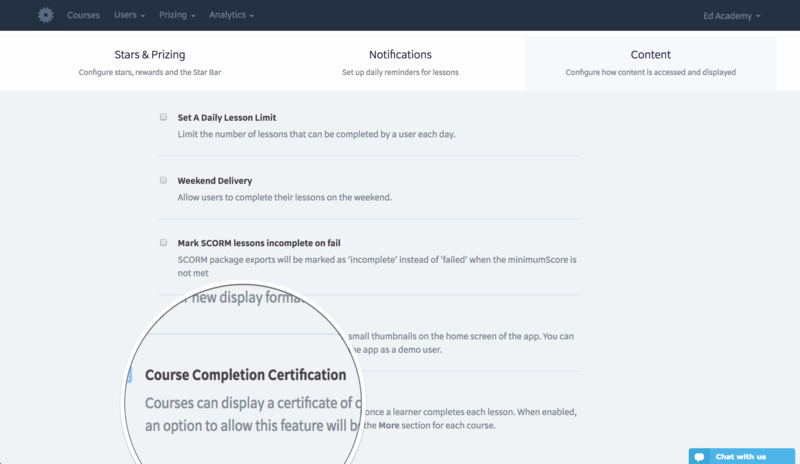 Learners can now receive a certificate once they have completed all or specified lessons within a course. All you have to do is change your app configuration. This is yet another way to give your learners an incentive to complete their lessons and receive a memento for their achievement. 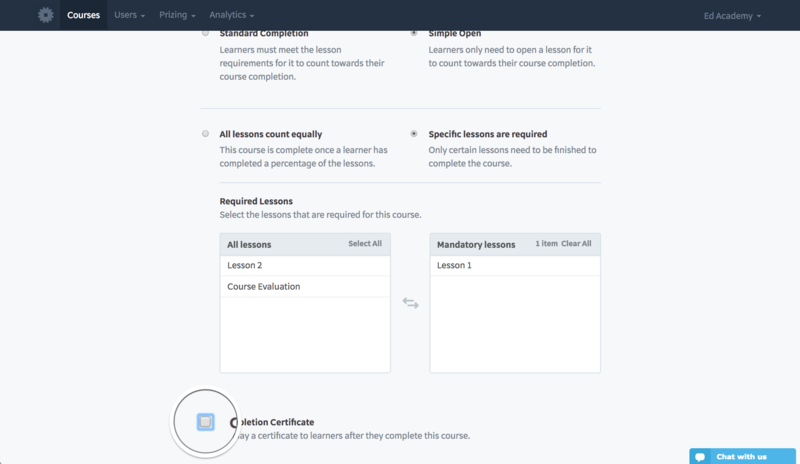 In this user guide, you will learn how to configure Course Completion Certificate for the LMS, as well disable this feature for specific courses. 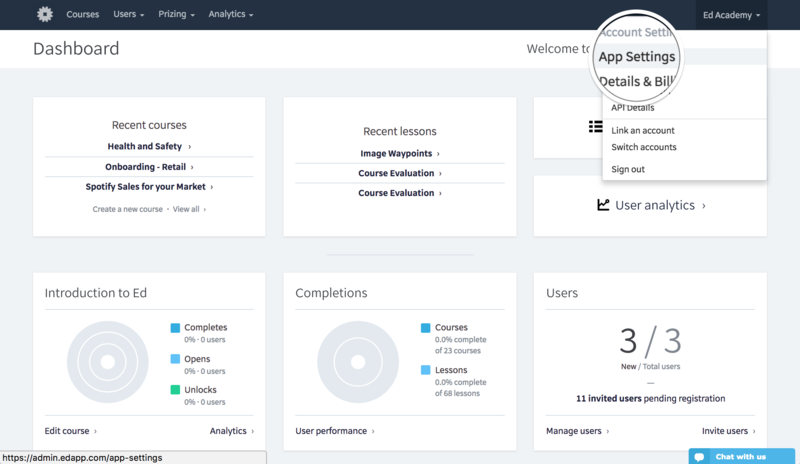 Let’s go ahead and log into the LMS at admin.edapp.com. Once you’re there, select your username in the upper right hand corner. This should show you a drop down with options you may already be familiar with. Select App Settings. 3. From the top of the page you will have three categories to choose from. We will find the course completion certification setting in Content, which is on the far right. Select Content and the app options will change. 4. 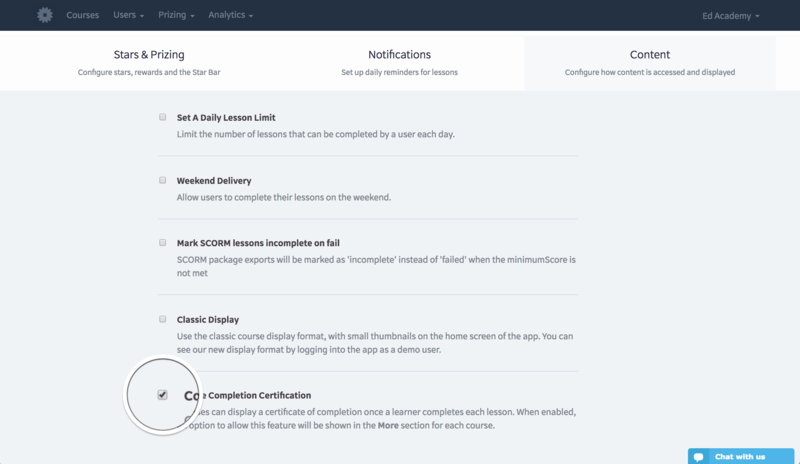 Scroll down until we see a checkbox for Course Completion Certification. Check this box in order to enable this feature for the entire application. This is a master switch. Once this box is checked, the course completion certificate settings will apply to every course. 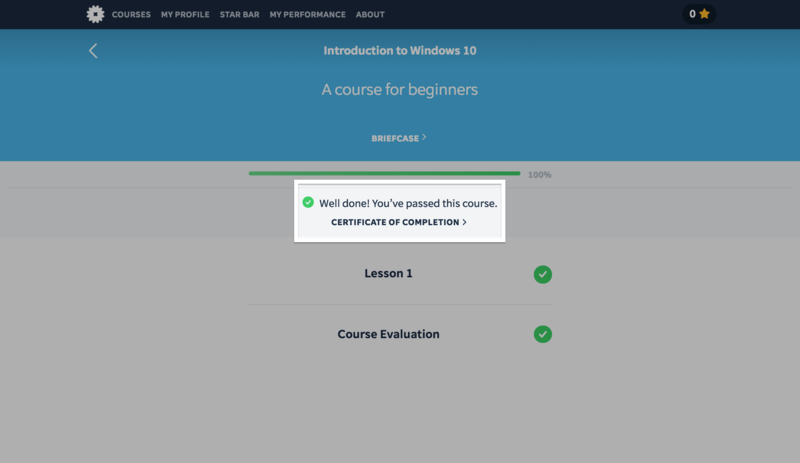 Your learners will be presented a PDF of their certificate of completion when they complete all of the lessons within the course OR they meet the completion requirements your course is configured to. This PDF will be available to download on their device. The learner may also return to the course to view the certificate at any time! In the next set of steps, we will go over how to disable this feature for a specific course. Remember, you always have the option to turn off the Completion Certificate for specific courses. The app must have it enabled in order to select individual courses which do not offer the completion certificate. 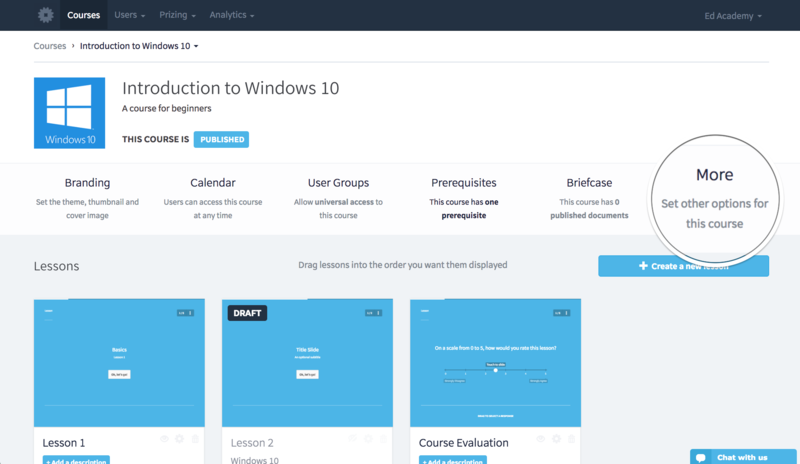 Let’s head over to the courses page, by selecting Courses from the menu bar at the top of the page. Select the course you wish to disable. Once on that course page, within the course properties let’s select More. 3. Here, you will find the Completion Requirements settings. These may be modified to your liking. It is important to note that the completion requirements will affect the learner’s ability to obtain a certificate. As soon as the course recognizes it has been completed, whatever the requirements, they will then be presented with the certificate. 4. In order to disable this setting, scroll down beyond the completion requirements and uncheck the Completion Certificate option. That’s it! 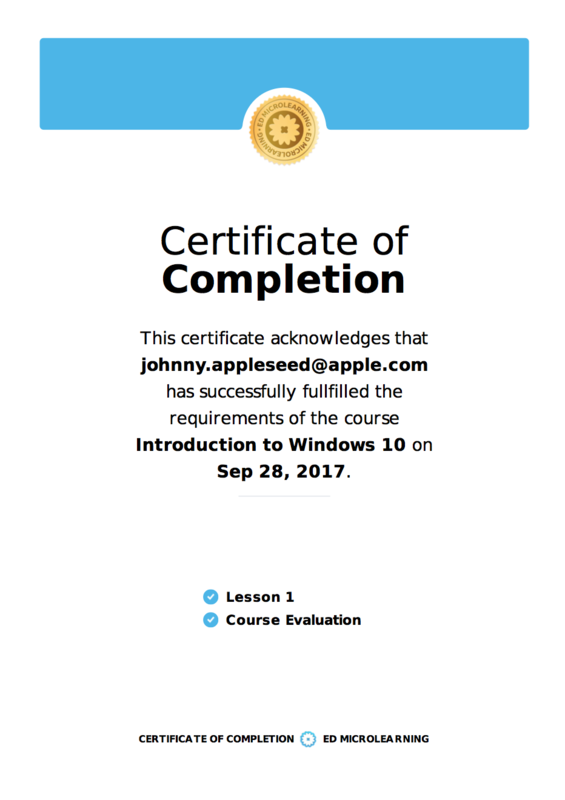 You have successfully enabled the Course Completion Certificate for your application, and you understand how to disable an individual course if you so choose to. Enjoy!